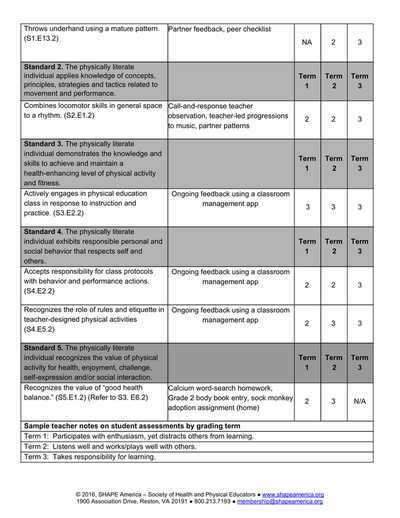 4.6.1 Grades are based on thoughtfully identified criteria that are aligned with course goals and national standards. 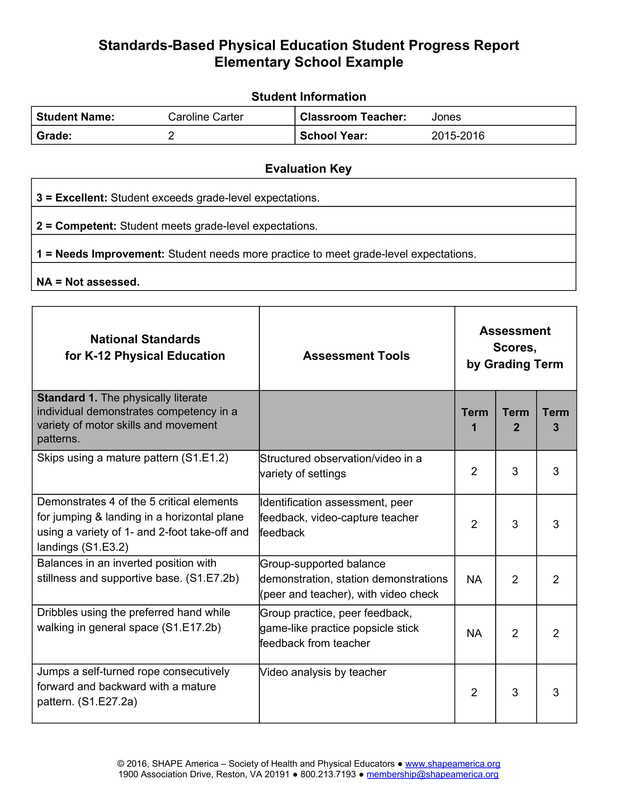 4.6.2 Students know the components of and criteria included in their grade, and the rationale behind each. Following Class Rules:​ this is required in order to fully participate in lessons and therefore will already impact grades. "Dressing Out": this may be required in order to fully participate in lessons and therefore will already impact grades. 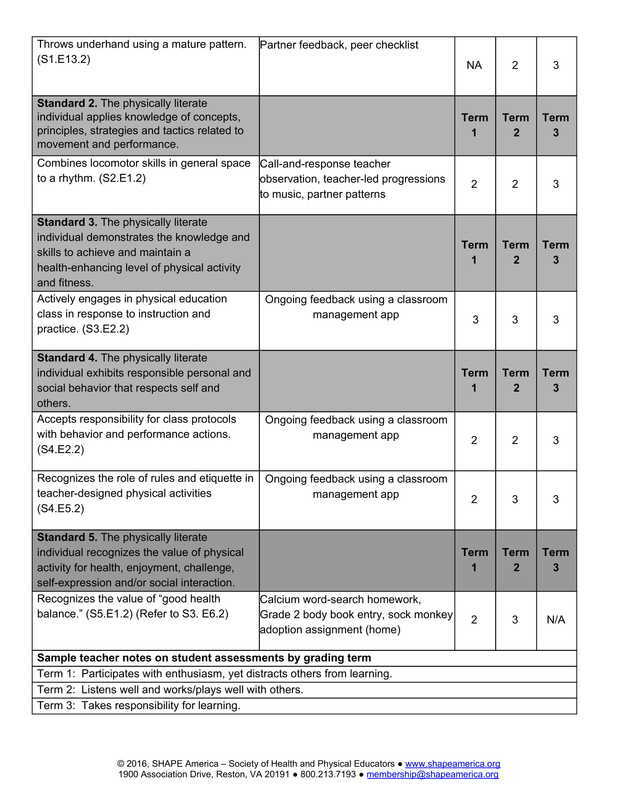 Fitness Performance: fitness is largely determined by factors outside the control of the student and the teacher. Improvement: students' physical growth/maturity can negatively impact performance; students can also "sandbag" the pretest (intentionally or unintentionally). 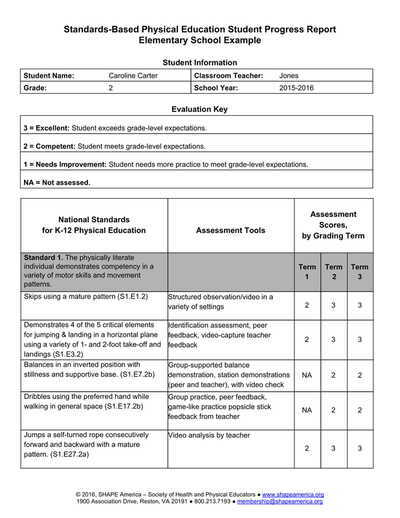 Subjective Observations ("eyeballing"): this is not a reliable or accurate form of assessment; instead be clear on how students will be assessed using rubrics. ​Are We Grading Student Skills or Parent Choices?